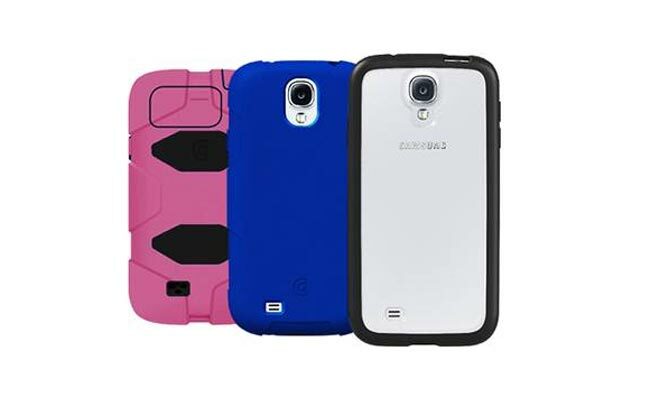 Griffin technology has announced a new range of accessories for Samsung’s flagship Android smartphone, and this includes some new Samsung Galaxy s4 cases, and also some new chargers. Griffin has announced a total of four new Samsung Galaxy S4 cases, which include the Survivor Military Duty Case, the Survivor Skin, the Reveal case and the Midtown Wallet for the Samsung Galaxy S4. All of these new Samsung Galaxy S4 cases are available now with prices starting at £14.99 and the most expensive model retailing for £34.99, you can find out more details about these new cases over at Griffin.